NO, THAT’S NOT MICKEY MOUSE, he would come much later. When he was fourteen months old, unknown to everyone, he crawled onstage wearing overalls and a little harmonica around his neck. He sneezed and his father, Joe Sr., grabbed him up, introducing him to the audience as Sonny Yule. He felt the spotlight on him and described it as his mother’s womb. From that moment on, the stage was his home. He was a natural Performer, from the beginning. 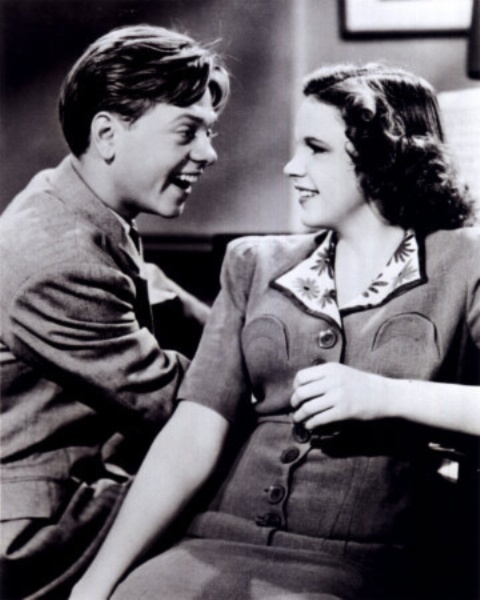 His breakthrough role — and the one that would go on to define his career — was the feisty all-American teen Andy Hardy in a string of popular MGM films beginning with “A Family Affair.” Over the course of 15 features, the series focused on the romantic mishaps of Rooney’s boy-next-door character and presented an idealized portrait of American family life. Rooney’s costars included many of MGM’s top young female talents, including Judy Garland, with whom he would star in several musicals, Lana Turner and Esther Williams. Rooney became an MGM standard, a success vehicle noted for his ability to act, sing, dance, clown, and play various musical instruments, most of which he did with apparent ease and raw talent. Performers have the special ability, even among the Artisans, to delight those around them with their warmth, their good humor, and with their often extraordinary skills in music, comedy, and drama. Whether on the job, with friends, or with their families, Performers are exciting and full of fun, and their great social interest lies in stimulating those around them to take a break from work and worry, to lighten up and enjoy life. Other Performer Artisans include: Sid Caesar, Steve Martin, Brittney Griner, Janis Joplin, Gene Krupa, Louis Armstrong, Alex Karras, Kim Jong Un, Phyllis Diller, Jim Cramer, Magic Johnson, Josephine Baker, Whitney Houston, Marilyn Monroe, Michael Jackson and Elvis Presley. Inspired by your comment I reblogged this too. Really good outline of a great Performer.